There are a number of ways that members can get in touch with us to get their questions answered or submit feature suggestions. We highly recommend you to join our customer Facebook group. You can exchange ideas, ask questions, share your learnings and simply feel part of a group of Dropshipping Pros. Also, sometimes you might receive quicker answers, as members visit the group 24/7. Please note: When joining the group we will ask for the email address you have signed up with. This is to prevent Spam and make sure only Rapid Order customers are part of the group. There are hundreds of tutorials with step-by-step guidelines on our Knowledge Base. You can refer back to them whenever you are stuck. Simply type the below URL in your browser, and bookmark the page, so you can easily find it again and again. Our Help Desk is the official support platform, through which you can submit feature requests, notify us of any bugs or ask general questions which you can't find in our Knowledge Base. You can find the Help Desk either by clicking on the orange 'Contact Us' button in the bottom right hand corner of your member's area or be clicking 'Submit a ticket' in the top right hand corner of our Knowledge Base. Tip! 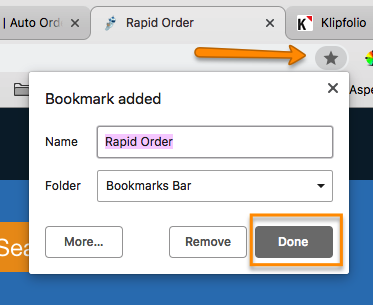 If it's easier for you, you can simply email your question or feature suggestion to support@rapidorder.io.